My name is Fredrik Skarstedt and I was born in Stockholm, Sweden. I immigrated to the USA way back in 1998 to be with my wife and now live in Indianapolis with my family. I am an 2D artist and I love creating UI for games as well as designing and making them. Love it. I’ve been doing it for a quite awhile now and I plan on drawing and making games as long as I can. When I am not drawing or making games my most favorite things to do involve creating in one way or the other, like playing guitar, cooking, sculpting and making snow frogs together with my family. Let’s make some cool projects together, so don’t hesitate to contact me! 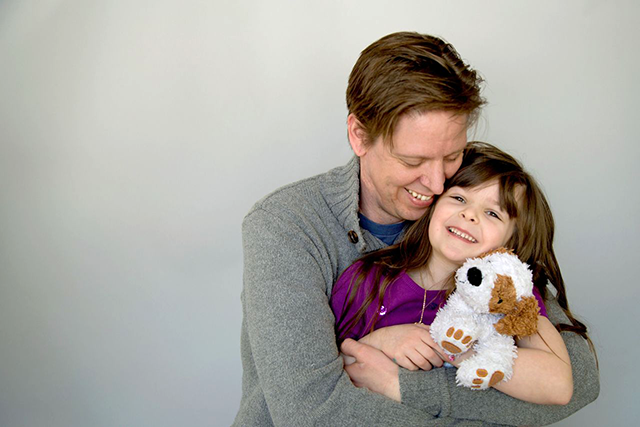 Me, daughter and Pöpli, her stuffed dog.